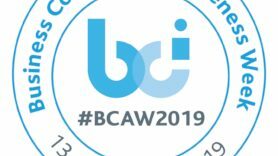 2019 marks 25 years of the BCI. 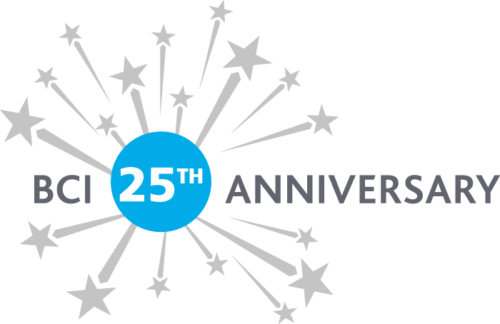 That's 25 years of you - our community - helping individuals and organizations to become more resilient through BC best practice. To celebrate we've created this online hub for you to explore our history, reflect on your own experiences of the BCI and consider what the next 25 years will hold for the BCI and resilience community. Explore our timeline to discover the BCI community's history and find out how we've come to be the leading institute for business continuity. Contribute to the BCI’s 25th Anniversary! "I’m member 407, but since then a vice-Chair(2004-6) and Chair(2006-8) of the BCI. In 1997, there were so few of us that MBCI interviews were face-to-face. I met my interviewer in the lobby of a Sydney (Australia) hotel. Like may people, I had been an IT project manager. In 1995, the Head of Finance heard of this thing called "business continuity" and realized we (a big Australian finance company) had a gap. The conversation was as simple as “you, Green, I need this done. Sort it out…”. And so we began…"
Whilst I have never been a member I have trained a number of the FBCI’s as they came into the industry and helped to establish most of the best practice we use today. In fact it is always a surprise to me to see long service awards etc given to people I trained! In my term on the BCI board, I was in a board meeting on 11th September, 2001, when news started coming in of an incident in New York. Technology was not as it is today, and pagers started going off around the table. Somebody then suggested that we should watch the TV news broadcast. End of meeting. I was the first American to serve on the BCI board in 1996, and also served again for two terms in the 2000s. I helped found the BCI USA Chapter, served on the Global Membership Council as Vice Chair, wrote articles for BCI publications, delivered webinars to BCI Awareness Weeks, served (and still serve) as an FBCI assessor, mentor and awards judge, spoke at numerous BCI conferences and many other things over the past 25 years. 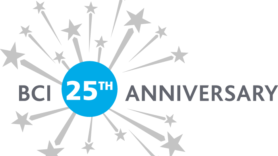 If you are running your own event to celebrate the BCI's 25th anniversary please get in touch with jeyda.karamehmet@thebci.org to find out how we can help support you. Have a memory you want to share? Want to contribute documents or photos to the timeline? Fill out the form below or contact jeyda.karamehmet@thebci.org for more opportunities to get involved in our 25th anniversary celebrations.